The National Skills Academy for Nuclear Manufacturing presents its new introductory course to the nuclear sector. This Triple Bar Nuclear Manufacturing provides a basic introduction to nuclear industry expectations in terms of knowledge, quality and behaviours. It is based on the proven Triple Bar courses for existing and new nuclear sites developed by NSA Nuclear. The new course has been developed by nuclear manufacturers for nuclear manufacturers, and is delivered by the AMRC Training Centre. It gives individuals working in the manufacturing sector a sound understanding of what differentiates nuclear from other industries. It is ideal for new entrants to the sector, as well as long-standing employees who have had little or no prior nuclear awareness training. The training is aimed at a foundation level of knowledge, and all participants are required to undergo the TBNM end test to ensure that they understand the industry’s requirements in terms of compliance and the consequences of not performing in the right way. The two-day course costs £350, or £250 for members of the NSA Nuclear Manufacturing. For more details and register, go to Triple Bar Nuclear Manufacturing. UK Trade & Investment, in partnership with the Nuclear Industry Association, presents its third civil nuclear export showcase. Promote UK nuclear supply chain capability to senior decision makers from a number of important overseas markets. Provide a platform for overseas delegates to learn more about the UK civil nuclear offer. Give UK attendees the opportunity to understand civil nuclear programmes in these markets. Incorporate one-to-one meetings and networking opportunities. The three-day event also features presentations from leading industry figures, including Nuclear AMRC chief executive Mike Tynan. Horizon Nuclear Power and Hitachi have signed a new agreement with the UK government to promote external financing for their proposed new power station at Wylfa, Anglesey. Horizon has also appointed three UK-based companies to provide initial engineering and technical services for Wylfa Newydd. The financing agreement was signed at the launch of the government’s new infrastructure plan, which details over £375 billion worth of planned public and private sector infrastructure investment. The government will work with Hitachi and Horizon to agree an in-principle guarantee by the end of 2016 to support the financing of a new nuclear plant at Wylfa, subject to due diligence and ministerial approval. The infrastructure plan identifies Wylfa Newydd and EDF Energy’s proposed Hinkley Point C as the new build projects which are most advanced and which have the ability to set the path for other projects in the government’s civil nuclear strategy. Horizon also announced that it has signed strategic contracts with Amec, Atkins and Cavendish Nuclear (part of Babcock International). The three companies and their UK supply chains will work with Horizon for the next three years on consultancy and technical design. Horizon and Hitachi are aiming to start construction of Wylfa Newydd in 2018. Hitachi acquired Horizon in 2012, and intends to build two or three of its Advanced Boiling Water Reactors at Wylfa and at Oldbury, Gloucestershire. 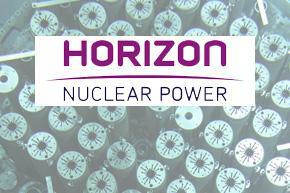 For more information about supply opportunities at Wylfa, visit Horizon’s suppliers page. 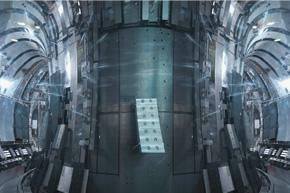 Work has begun to prepare the Nuclear AMRC workshop for its newest and largest machining centres. The two machines will be the biggest of their kind available for collaborative research anywhere in the world. The machines – a purpose-built vertical turning lathe from Dörries Scharmann, and a Soraluce FX12000 floor-type milling and boring centre – will be used to produce large representative-sized parts for the nuclear industry and other high-value sectors. The vertical turning lathe (VTL) will be capable of working on parts of up to five metres diameter and over three metres height. It will offer full milling and deep drilling capabilities, and is designed for the largest high-value components for the nuclear industry, including full-scale reactor internal parts. 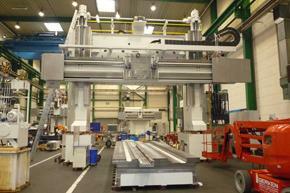 It is also ideal for machining offshore wind turbine shafts and the largest jet engine fan casings. The VTL is funded by the High Value Manufacturing Catapult, and is currently under construction at the Dörries factory in Germany. 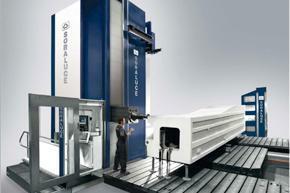 The Soraluce will be capable of working on parts up to 12 metres in length and five metres diameter, and can complete five-sided machining of complex parts in a single set up. It will be used to develop and demonstrate advanced manufacturing processes for large pressure vessels, high-value reactor internals and offshore wind turbine hubs. Preparatory work to construct the additional foundations required for the new machines began in October. Creating the foundations will take around 20 weeks – while this has the potential to disrupt work in the rest of the Nuclear AMRC workshop, careful planning and specialist contractors mean the workshop will be closed for just three weeks in November. The Soraluce will then take around 12 weeks to install, and the VTL 14 weeks. 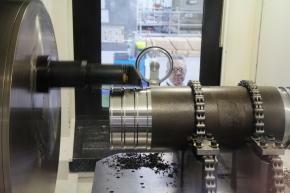 The latest machining centre to be commissioned in the Nuclear AMRC workshop also offers unique capabilities for making complex high-precision components for the energy and oil and gas industries. The Mazak Orbitec 20 features a unique turning and facing headstock, capable of generating turned features while keeping the workpiece stationary. 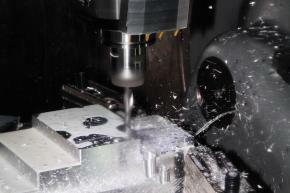 It is ideal for parts which are too large or awkwardly shaped for conventional turning machines, and can carry out high-precision four-sided machining in a single set-up. The Nuclear AMRC’s Orbitec is currently the only one in Europe. EDF Energy and the UK government have agreed commercial terms for EDF’s proposed Hinkley Point C power station, a vital step towards a new generation of nuclear power stations in the UK. The long-awaited deal sets the financial structure for the long-term supply of low-carbon electricity from new reactors at Hinkley Point. 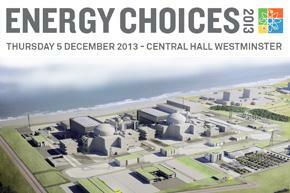 EDF still has to make a final investment decision on the project. “This is a significant milestone in the development of new nuclear power stations in the UK,” commented Mike Tynan, chief executive of the Nuclear AMRC. “Utilities, developers and investors need confidence in both long term cost and revenue profiles for making a final investment decision, and I’m sure that this announcement will be welcomed by everyone involved in UK new nuclear build. Electricity from Hinkley Point C will receive a guaranteed price under the “contract for difference” (CFD) regime which also applies to windfarms and other low-carbon sources. The price is £92.50/MWh, linked to the consumer price index. If EDF confirms that it will also build new capacity at Sizewell, that price is reduced to £89.50/MWh to reflect economies of scale. The Department of Energy and Climate Change (DECC) forecasts that electricity from Hinkley Point C will be competitive with future gas generation prices. The contract will last for 35 years from the date of commissioning, and will give EDF a rate of return of around 10 per cent. EDF has also announced details of the investment consortium for Hinkley Point C. EDF group will retain 45-50 per cent of the venture, with reactor provider Areva taking 10 per cent. Following the government’s recent go-ahead for Chinese investment in UK nuclear generation, China General Nuclear Corporation and China National Nuclear Corporation will take a total 30-40 per cent stake. Other interested parties may take up to 15 per cent of the venture. The consortium will invest around £16 billion in two EPRs at Hinkley Point, including £14 billion in construction costs. Around 57 per cent of the construction value could be spent in the UK, EDF says. 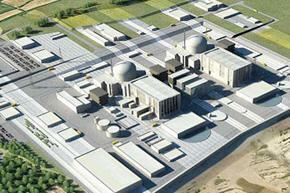 The UK government has confirmed that Chinese companies can invest in nuclear power generation companies. Chancellor George Osborne announced that Chinese companies can take a stake ­– including potential majority stakes – in UK nuclear new build consortia. He made the announcement while visiting Taishan nuclear power station, a collaboration between EDF and the China General Nuclear Power Company (CGNPC), in southern China. There has been ongoing speculation about a potential collaboration between EDF Energy – which is is proposing to build new Areva EPRs at Hinkley Point, Somerset (pictured), and Sizewell, Suffolk – and a Chinese partner for the UK projects. EDF, Areva and CGNPC signed a joint statement of cooperation in April covering development at Taishan and other sites, which paves the way for the European groups to help improve the safety and performance of CGNPC’s reactors. The announcement has been broadly welcomed by the UK nuclear industry. “This is a significant and welcome investment announcement for the UK’s nuclear new-build programme and supporting supply chain, which could lead to real export potential for UK manufacturers into China’s internal, fast-growing, multi-billion pound nuclear new build market,” commented Martin Ride, supply chain consultant at the Nuclear AMRC. The announcement follows the signing of a new memorandum of understanding on civil nuclear collaboration between the UK and China. The memorandum sets the strategic framework for collaboration on investment, technology, construction and expertise. As well as supporting Chinese investment in the UK, the memorandum will make sure that British companies such as Rolls Royce, International Nuclear Services (INS) and engineering companies such as Mott MacDonald can be part of China’s multi-billion pound new nuclear programme. INS recently signed a memorandum of understanding with the Chinese Nuclear Power Engineering Company Ltd to share UK expertise in radioactive waste management. 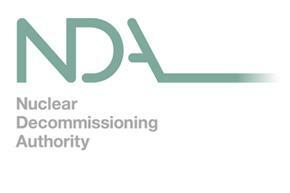 The Nuclear Decommissioning Authority presents its largest ever supply chain event. NDA Estate Supply Chain Event 2013 aims to highlight opportunities along the supply chain, particularly for small and medium-sized businesses, and will include presentations from the NDA, site licence companies and key government speakers. 17 October 2013, Nuclear AMRC. NPL and the Nuclear AMRC present a morning of exclusive insight into the state of the art in measurement for advanced manufacturing. Accurate measurement is vitally important throughout the internal and external supply chains. Good measurement practice can drastically improve quality, cost and delivery in manufacturing. This seminar will provide an introduction to some of the important measurement concepts used in advanced manufacturing today. Speakers from Rolls-Royce and innovative smaller businesses will discuss the importance of measurement to their own manufacturing operations. 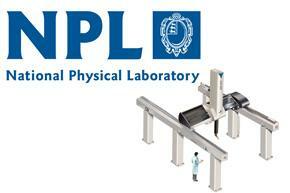 And measurement experts from NPL will present a new national initiative to support manufacturers, the Product Verification Programme.